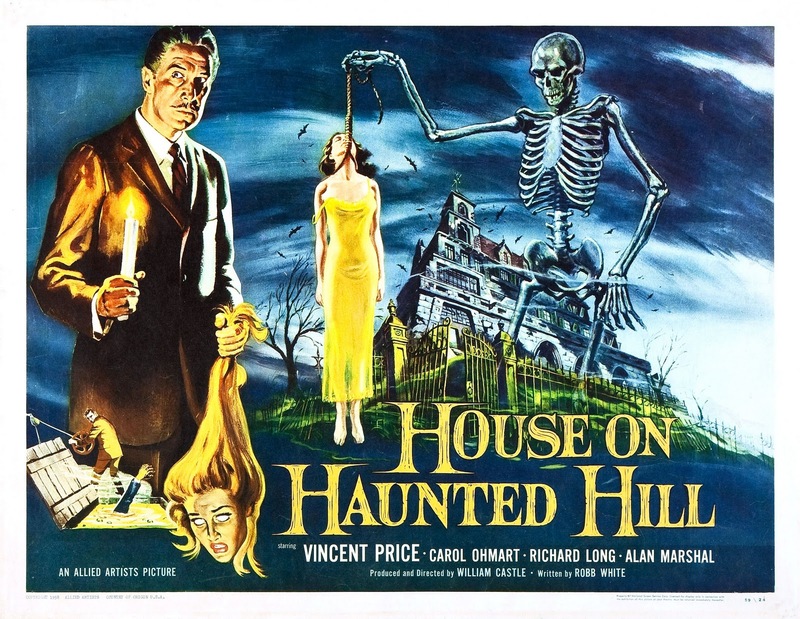 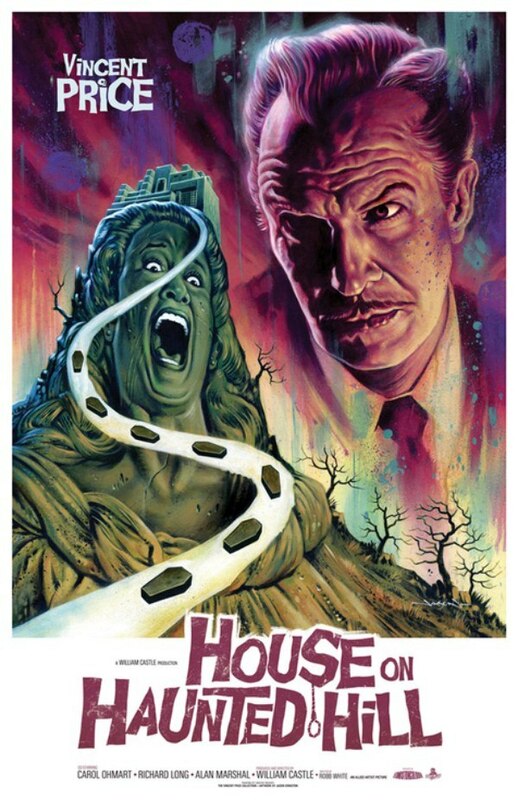 House of Haunted Hill with Vincent Price is one his best horror movies. 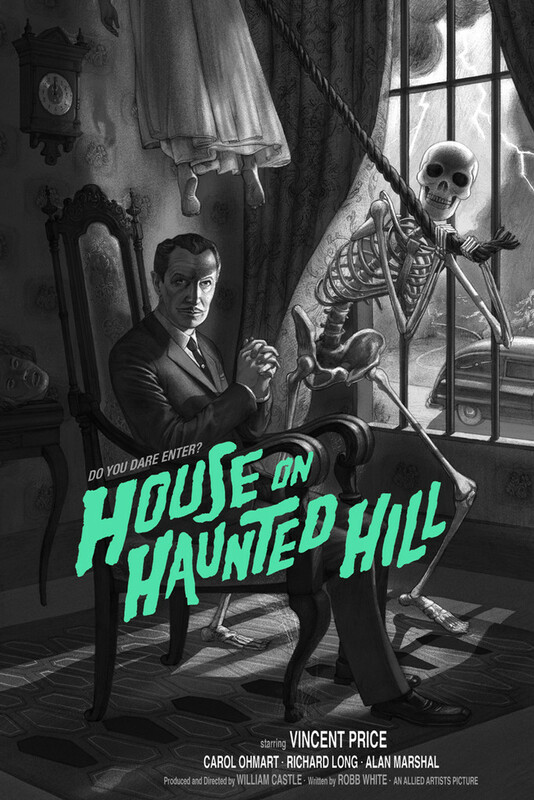 Jonathan Burton created a new poster for Mondo, an eerie reimagining of the 1959 film. 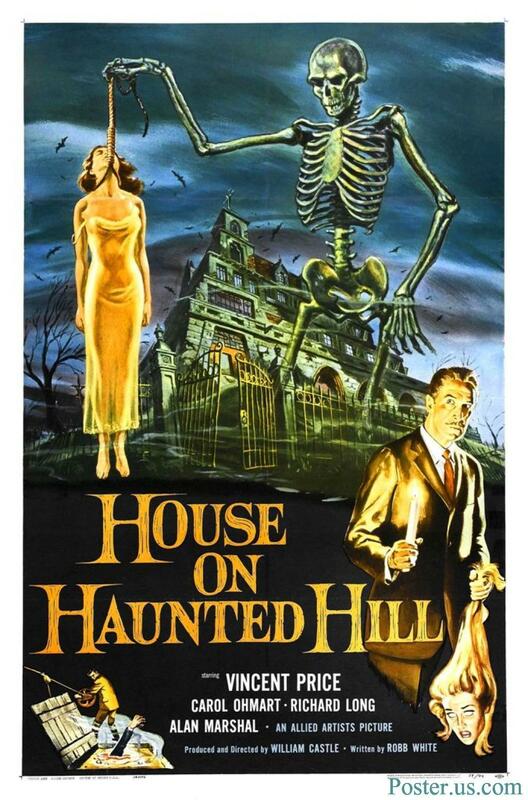 A fitting homage to the original poster.